There are now five lawsuits contesting the president’s monument reductions, including two led by tribes. While the legality of the move is still being debated, both in the courtroom and the court of public opinion, the implications of President Donald Trump’s decision to reduce Bears Ears National Monument by 85 percent is being felt in Indian Country. For centuries, the 1.35 million-acre lands that cover much of southern Utah were home to several tribes. To those communities, the land not only represents an important part of their cultures and histories, it holds countless artifacts and archaeological objects that could be damaged or destroyed should that land be opened up to more travel, less regulation and greater mineral exploration. As we saw this week, minerals likely played a role in the decision to reduce Bears Ears, despite Trump’s insistence they did not. There are now five different lawsuits filed against Trump’s decision to shrink Bears Ears and Grand Staircase-Escalante national monuments, including two led by tribes or tribal groups, demonstrating a wide swath of parties with vested interests in the landscape. One suit, filed by the Hopi, Navajo, Ute Indian, Ute Mountain Ute and Zuni tribes, seeks an injunction to Trump’s proclamation and to prohibit its enforcement. Another, filed by the Utah Diné Bikéyah, the Patagonia clothing company, and other advocacy groups, seeks a court order to restore the monument to boundaries set out by the Obama administration, claiming Trump’s reduction would threaten historical artifacts, kivas and pueblos. Destruction of such objects isn’t the only worry tribes have. 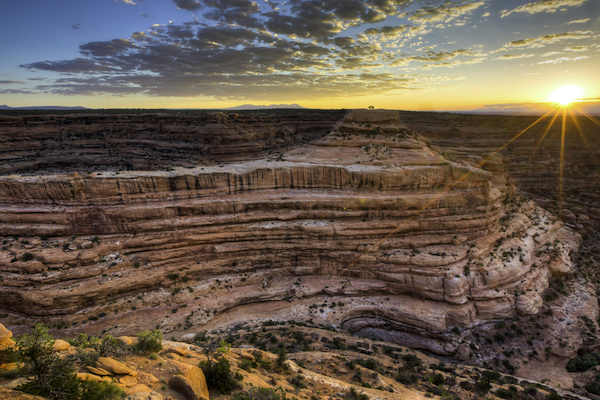 The Bears Ears Coalition, made up of the Navajo, Hopi, Zuni, Ute Mountain Ute and Uintah and Ouray Ute nations, successfully negotiated with the Obama administration for a powerful seat at the table when deciding the boundaries of the monument. Their hope, in part, was to stop the development of roads and pipelines that come with mineral extraction and cut through villages and sacred lands. The monument designation also gives federal land managers more leverage to limit visitation, which can keep motorized and non-motorized recreation away from sensitive sites. San Juan County Commissioner Phil Lyman, who helped organize a 2014 protest in which armed ATV riders sped over ancient Puebloan villages, stood next to Trump as the president announced the reduction, providing a clear signal of the administration’s priorities. In the coming weeks High Country News will continue to dissect the legal implications of Trump’s decision, as well as its impact on Indigenous communities that called the area home long before the United States was even an idea.